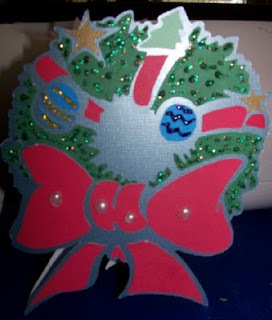 OK I know it is only April but I am working on Christmas crafts now so that I have a large stock pile to take to the craft shows in the fall. 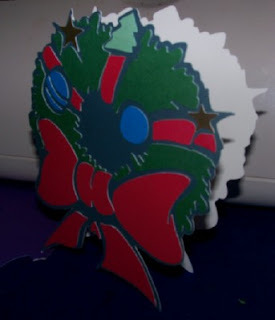 Below is my Christmas Wreath Shaped Card MTC file. I have cut it and like how it turned out. The picture below is my quick cut of this file. Have a great night everyone! Thank you so much for this post. I want to let you know that I posted a link to your blog in Creative Busy Hands Cricut Freebies Search List, under the Christmas/Hanukkah/Kwanzaa post on Jun. 24, 2010. Thanks again.